Alyssa Dweck, MS, MD, FACOG, is a full-time practicing OB/GYN in Westchester County, New York. She provides care to women of all ages and has delivered thousands of babies. A graduate of Barnard College, she has a Masters Degree in Human Nutrition from Columbia University and her Medical Degree from Hahnemann University School of Medicine in Philadelphia, now named Drexel University. Dr. Dweck trained at Lankenau Hospital in Wynnewood, Pennsylvania, where she was Chief Resident in 1994. She is proficient in minimally invasive and robotic surgery and has a special interest in and advanced training in the field of female sexual medicine. She is an Assistant Clinical Professor in the Department of Obstetrics, Gynecology and Reproductive Science at the Mount Sinai School of Medicine. She has served on her medical group's board of directors in addition to ethics, quality assurance, and peer review committees. She is on the medical advisory board of Hope’s Door, a shelter from Domestic Violence and is a medical consultant for Stepup-Speakout.org a web community dedicated to resources and support for breast cancer related lymphedema. Dr. Dweck is a published author and is on the Health Advisory Board of Family Circle Magazine and contributed regularly to YM Magazine, in a series called “paging Dr. Dweck”. 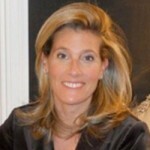 She has also contributed to Cosmopolitan, SHAPE, Family Circle, and Girl’s Life in print in addition to online sites including MORE.com, Foxnews.com, Parents.com, Sheknows.com, Shape.com, ivillage, Minerva Place, ThirdAge.com, and PhillyNews.com. Dr. Dweck lectures at various Westchester public schools on relevant gynecologic subjects, most recently, Sexually Transmitted Infections. She was a research assistant for Dr. Joyce Brothers.